whereby we believe the grace of God comes out to us in a unique way. we practice infant baptism as well as baptism of the youth and adults who choose to be baptized. In infant baptism, parents present their children to be received into the body of believers by the grace of God. will affirm for themselves what was done in their behalf. in the community of grace and the Christian faith. where this faith can be nurtured and carried out. 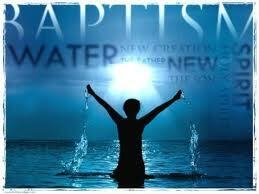 The water of baptism is a sign of the washing away the sins and a new beginning in the Christian walk of faith. The mode of baptism may be sprinkling, pouring or immersion. Baptism is offered upon request and may be arranged throughout the year. Please contact our church office at: 717-244-1486 to make arrangements.